6) Does Fighting Global Warming Help Or Hurt The Poor? China is planning to apply the same technology used to detonate a nuclear bomb over Hiroshima during the second world war to access its massive shale gas reserves in Sichuan province. While success would mean a giant leap forward not only for the industry but also Beijing’s energy self-sufficiency ambitions, some observers are concerned about the potential risk of widespread drilling for the fuel in a region known for its devastating earthquakes. Despite being home to the largest reserves of shale gas on the planet – about 31.6 trillion cubic metres according to 2015 figures from the US Energy Information Administration, or twice as much as the United States and Australia combined – China is the world’s biggest importer of natural gas, with about 40 per cent of its annual requirement coming from overseas. In 2017, it produced just 6 billion cubic metres of shale gas, or about 6 per cent of its natural gas output for the whole year. The problem is that 80 per cent of its deposits are located more than 3,500 metres (11,500 feet) below sea level, which is far beyond the range of hydraulic fracturing, the standard method for extraction. But all that could be about to change, after a team of nuclear weapons scientists led by Professor Zhang Yongming from the State Key Laboratory of Controlled Shock Waves at Xian Jiaotong University in Shaanxi province, released details of a new “energy rod” that has the power to plumb depths never before thought possible. Unlike hydraulic fracturing, or fracking as it is more commonly known, which uses highly pressurised jets of water to release gas deposits trapped in sedimentary rock, Zhang’s torpedo-shaped device uses a powerful electric current to generate concentrated, precisely controlled shock waves to achieve the same result. “We are about to see the result of a decade’s work,” he said. 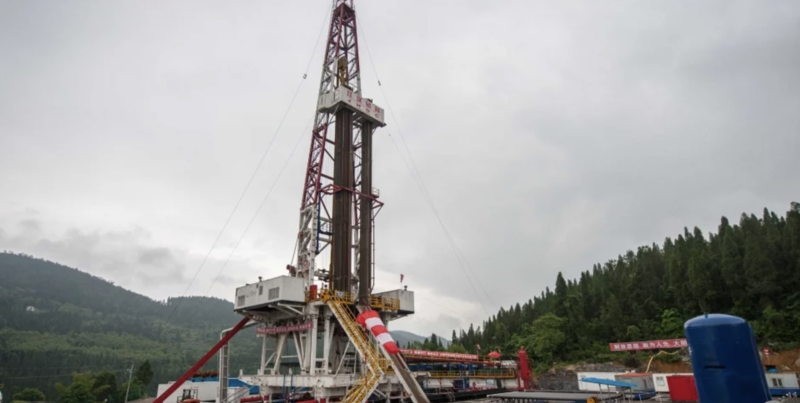 Chen Jun, a professor at Southwest Petroleum University in Chengdu, Sichuan’s capital, is not involved with the programme but said he was eagerly awaiting the results of the trials. “A technological breakthrough could trigger another shale gas revolution,” he said. Shale gas is another name for methane (or natural gas) that is trapped in impermeable rock deep underground. Unlike conventional natural gas which is in permeable rocks, shale gas does not flow and so cannot be reached by simply drilling a well. The widespread use of fracking in the United States began in 2007 and heralded a boom in energy production in the country. In the decade that followed its natural gas output rose 40 per cent, prices fell by more than two thirds and America went from importer to exporter. One of the main reasons for the success of the so called shale gas revolution was the relative accessibility of the fuel. In many cases, including at several sites in Pennsylvania and New York state, the deposits were found just a few hundred metres below ground. The deeper the shale beds, the higher the water pressure needed to frack the rock and release the gas. Reaching China’s reserves, at 3.5km (2.2 miles) underground, would require a water pressure of about 100 megapascals, or about the same as is found at the bottom of the Mariana Trench in the Pacific Ocean, the deepest point on Earth. No pump, pipe or drill shaft wall material has the strength to withstand such a crush. No surprise then that previous efforts to tap into China’s rich gas seams by state-owned energy giants like Sinopec and CNPC, often working in partnership with US firms, failed to deliver. Zhang hopes his alternative, developed by a team that has worked on some of the world’s most advanced nuclear weapons systems, can change all that, but he also knows the proof of the pudding is in the eating. 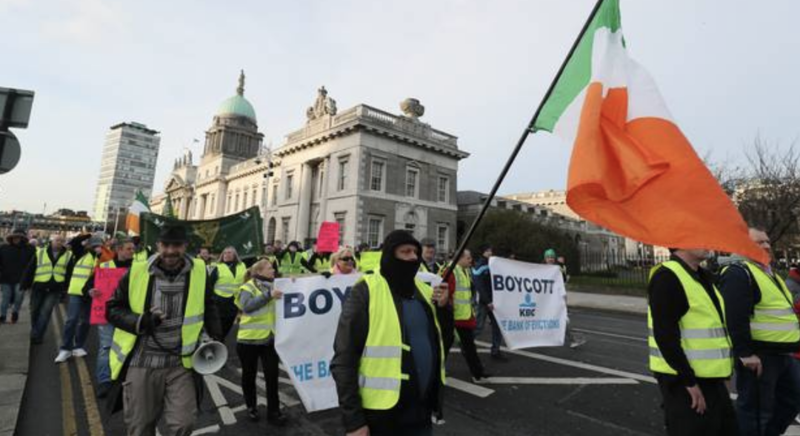 Irish MPs and senators are split over plans for a fourfold increase in carbon tax to put Ireland on course to meet its 2030 climate change targets, following the yellow vest protests in France. Sinn Fein is opposing increases in carbon tax until there is better public transport, grant aid for retrofitting houses, and lower costs for electric vehicles. Fianna Fail is also against recommending a carbon tax rise in the climate action report. The Greens want the tax to be doubled to €40 next year, with annual increases of €5 over the next decade until it reaches €90. Eamon Ryan, the Green Party leader, said the money raised should be paid back to households as a carbon dividend. The rebate would begin at about €200 per household — based on the Greens’ proposed €20 carbon tax increase in next year’s budget — rising to €600 by 2030 if the tax reaches at least €80 per ton. Brian Stanley, the Sinn Fein spokesman on climate change, said: “We are not going to be bounced into higher taxes, because it won’t change behaviour. We don’t have the alternatives in terms of sufficient public transport and helping people to reduce fuel bills through insulation and double-glazing. Last year John FitzGerald, chairman of the state’s climate change advisory council, warned Ireland was increasing emissions at a rate of 2m tons a year instead of achieving the required 1m ton per annum reduction in carbon dioxide emissions. Earlier this month Ofgem, the energy watchdog, introduced a cap on the prices of energy bills for customers on “standard variable tariffs”, which customers are automatically moved to after deals finish. The intervention was ordered by Theresa May, the Prime Minister, to protect vulnerable consumers who are less likely to shop around for cheap energy and are “ripped off ” as a result. When it was launched Ofgem said it would save 11 million loyal customers £76 each on average by setting the cap at £1,136 a year for a typical dual fuel customer paying by direct debit. But now energy analysts expect this to rise by as much as £100 within weeks when Ofgem revises the cap, wiping out all the savings households have made so far. The price cap is revised every six months to take factors including wholesale costs into account, with the first revision scheduled for February 7. 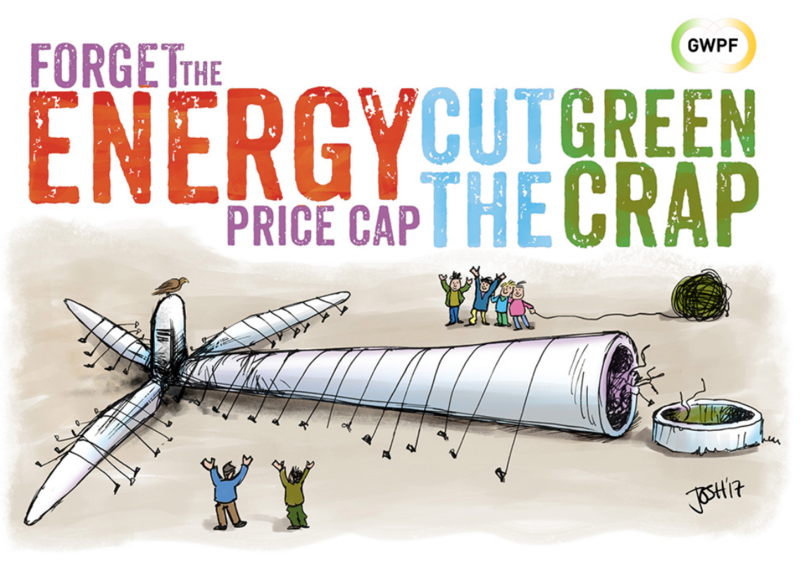 Industry sources told the Daily Telegraph that when designing the cap, Ofgem was under “huge pressure” to come up with a number that was “politically acceptable” when it first came in. This is despite the fact that its methodology was likely to wipe out the savings shortly afterwards. Speaking at a conference two weeks ago Dermot Nolan, chief executive at Ofgem, said: “While I cannot say today exactly what it will be, wholesale costs have risen significantly over the last year. As a result, it is likely that we will announce an increase – and potentially a significant one – in the level of the cap. The announcement will be made on Feburary 7 and the price rise will come into force on April 1. A rise of £100 would be the largest price rise energy customers will have ever seen in a single day. It can take a crisis to reveal true character. Australian Greens leader Richard Di Natale’s call to Victorians to toughen up in the face of threats to household electrical appliances shows he recognises the severity of the energy crisis and is willing to face the cost. The evocation of the Churchillian spirit was not entirely inappropriate. Back in World War I, Winston ordered what was probably the first government-mandated blackout in an effort to deter the German navy from shelling the English south coast. Today’s enemy is not the kaiser but the weather. Victorian Energy, Environment and Climate Change Minister Lily D’Ambrosio warned last Thursday morning that the state had been hit by “an extraordinary heat event” that was putting “extreme pressure and stress” on the energy system. She encouraged Victorians to delay using their washing machines and dishwashers if possible, and for healthy people to consider turning their airconditioners to 24C. Stinking hot days, as heat events once were called, barely caused a ripple in the state’s energy system until the Hazelwood power station was closed prematurely in March 2017. D’Ambrosio, readers may recall, was one of the loudest voices in the campaign to shut Hazelwood, describing the then Liberal government’s attempts to save it as “disgraceful”. “Our state must be looking at ways to lower our dependence on brown coal and finding new ways to generate energy,” she lectured. Victoria has indeed found new ways to generate energy, but none of it can be trusted in a crisis. Last week’s shortfall in capacity was hardly unpredictable. Indeed the Australian Energy Market Operator anticipated the sequence of Thursday’s events with remarkable perspicaciousness in a report in the middle of last year. There was a one-in-three chance that Victoria would run out of power during the summer months, the AEMO forecast. In South Australia, the chances were one in five. 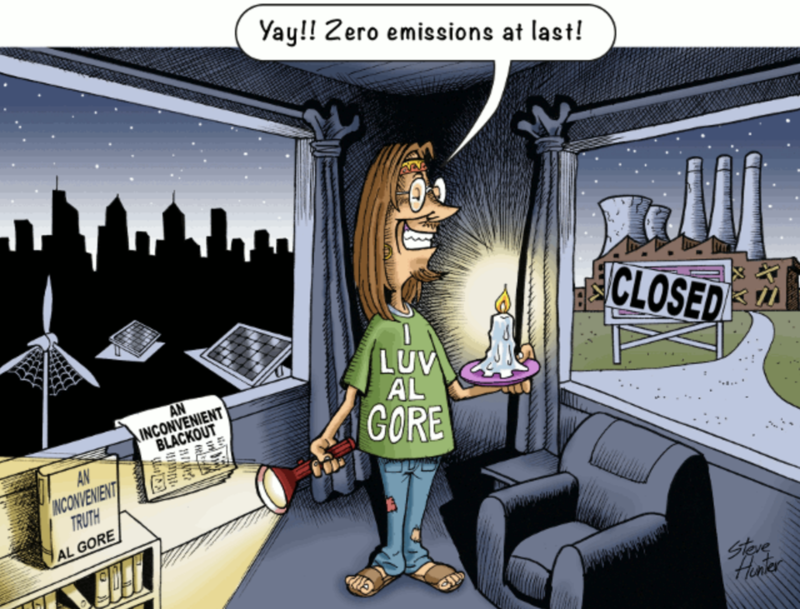 Load-shedding, a kindly euphemism for blackouts, would occur when temperatures rose above 40C towards the end of the day when business demand was still relatively high, residential demand was increasing and rooftop solar panels went to sleep. The AEMO’s long-term forecasts show that the reliability gap, the difference between capacity and demand at peak times, will increase sharply during the next decade unless more power plants are built. AEMO expects a little respite across the next two summers before the reliability gap begins widening again with the retirement of AGL’s Torrens Island A gas turbines in SA. That, however, is merely a taste of the energy market nightmare that will begin when AGL’s Liddell Power Station in NSW closes with the loss of 1800MW of capacity in 2022. In four years, NSW will be our most energy-impoverished state in AEMO’s estimation. Its 380MW shortfall will be as large as the combined shortfall in SA and Victoria this year. By 2024-25 it will rise to 885MW, overtaking its southern neighbours. By 2027-28 the shortfall in NSW will be 1220MW. The total shortfall in the National Energy Market will be 2200MW, six times larger than it is today. This shortfall in capacity cannot be blamed on a lack of investment. At least $15 billion has been committed to renewable energy projects yet to be built. Yet no amount of wind and solar will reduce the capacity shortfall since none of it can be trusted on a bad day. What is needed is the incentive to invest in energy that can be called on 24 hours a day. Given the present state of technology, the moratorium on uranium and Australia’s hydro-adverse climate and topography, the affordable and reliable energy needed will have to come from coal or gas, possibly augmented by pumped hydro or batteries. Whether enough firm generation can be built in time to avert the approaching energy drought depends largely on the result of the election. Want to “bring nothing but misery to poor people, especially in the developing world”? Simple: Just follow the advice of the international cabal of UN leaders and their organizations calling for drastic action to fight global warming. The harangue is familiar everywhere by now: Global warming will harm everybody, but it’ll harm the poor most of all. Curbing it will help everybody, but it’ll help the poor most of all. Not according to Dr. Mikko Paunio, an expert on public health and adjunct professor in general epidemiology at the University of Helsinki in Finland. 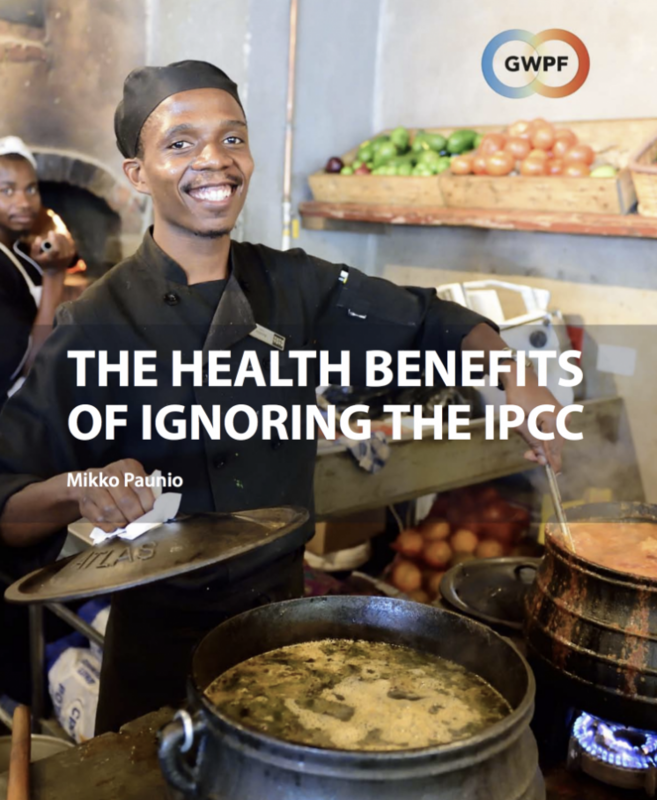 In a newly published report from the Global Warming Policy Foundation, Paunio challenges claims by the United Nations Framework Convention on Climate Change, the World Health Organization, and the Intergovernmental Panel on Climate Change that “co-benefits” of holding global warming to 1.5C above pre-industrial times will be a boon to humanity. The more likely result will be up to 200 million excess premature deaths by 2050, according to Paunio. Because the path to 1.5C is a “highway to hell” — a highway paved with converting over one-fourth of agricultural land worldwide from food production to energy production while failing to provide the abundant, affordable, reliable energy indispensable to population-wide water purification, sewage sanitation, and electrification that are indispensable to lifting and keeping whole societies out of severe poverty and the high rates of disease and premature death that invariably accompany it. Paunio notes that the claims that the poor will benefit from fighting global warming rest on claims of reduced air pollution as the world shifts from fossil fuels to wind, solar, and biofuels to generate electricity. “Air pollution, and, in particular, indoor air pollution, is a genuine problem, particularly in poor countries, where wood and dung fires and crude coal-burning stoves are often the main ways of heating and cooking. But the suggestion that action on climate change will reduce the death toll is grossly misleading. 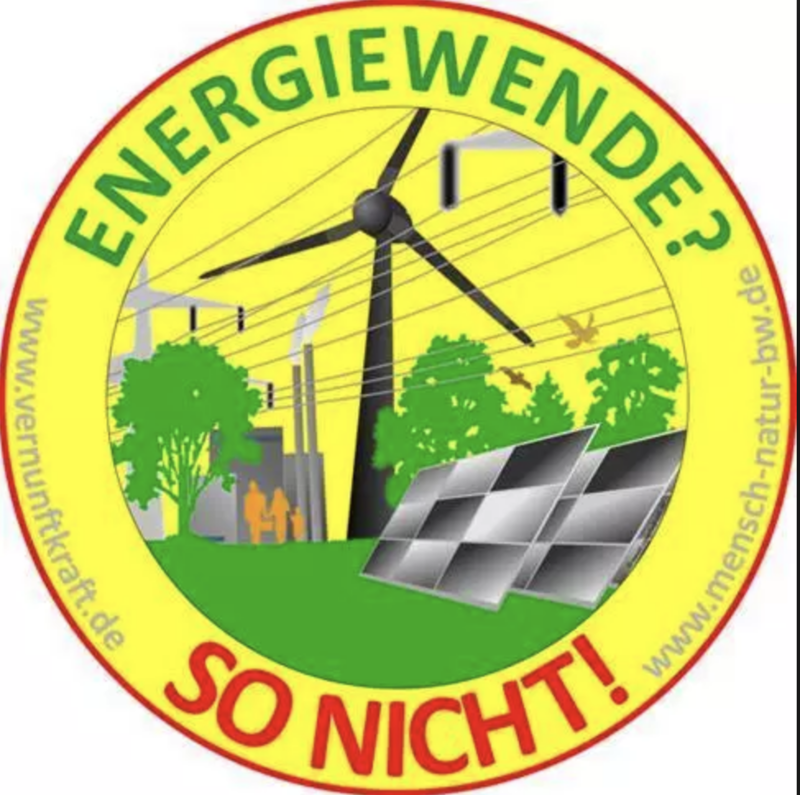 The real solution has been understood for decades, and lies in a progressive movement away from solid fuels, firstly to cleaner fossil-fuel alternatives, such as liquified petroleum gas, and eventually to centralised power production and modern electricity grids. Professor Guus Berkhout is setting up a new international climate institute in the Netherlands. 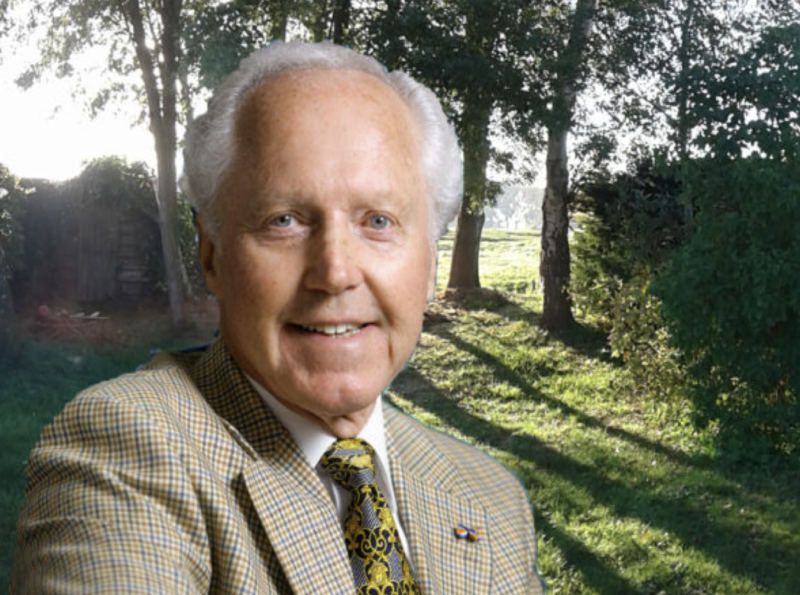 Professor Guus Berkhout is considered an energetic optimist. After an impressive scientific career in geophysics, science does not let him go. And certainly not when it comes to the Earth’s climate. According to him, climate research is much more than just making computer models. He emphasizes utilization of the Earth’s climate history being hidden in the geological and archaeological archives as well as the absolute necessity to differentiate between climate change and environmental degradation.